The Todd Skinner Program aims to support the continuing legacy of Todd Skinner by funding endeavors in his spirit. Expedition support: preference will be given to free first ascents – climbs that are bold, audacious and in remote areas are preferred. This effort can and should be combined with another listed. International cultural and educational support: emphasis should be on children and in areas near or affected by climbing. This grant can and should be combined with another listed. Publication / Film support: works focusing on the expansion and distribution of bold, innovative, wild and free climbing are desired. Works on Todd that promote his spirit and the work of this foundation are accepted. This support can and should be combined with another listed. Safety / Awareness support: education and expansion of information relating to keeping climbing safe. All programs in this area will be considered. The above support are intended to be funded with significant dollar amounts. 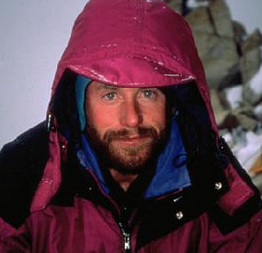 It is the desire of the Todd Skinner Program to provide sufficient funds for an entire expedition. These funds will be granted when an appropriate endeavor is found, but will not be granted unless a deserving individual or team applies.